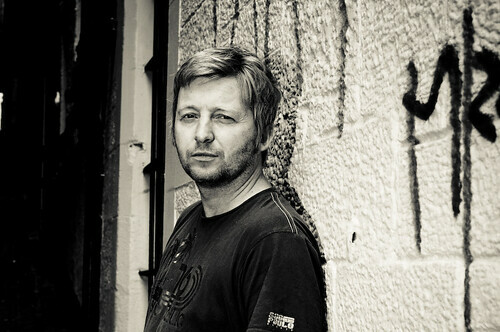 Roddy - Contemporary Portraiture Edinburgh, originally uploaded by Margaret Clift McNulty. The mean streets of Edinburgh make for a great urban backdrop. One aspect of portraiture I enjoy the most is finding a 'set' in any environment. I prefer the creative process of working on location and creating drama in the setting we find ourselves in - there are so many fantastic textures and colours to work with, it seems a shame to stay stuck in a studio!